The problem of designing resilient supply chains at the semantic network level is considered. The entropy method is used to show the interrelations between supply chain design and recoverability. Easy-to-compute quantitative measures are proposed to estimate supply chain recoverability. 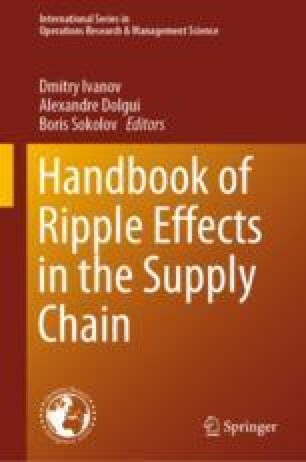 For the first time, entropy-based supply chain analysis is brought into correspondence with supply chain structural recoverability and flexibility considerations downstream the supply chain. An exact and a heuristic computation algorithm are suggested and illustrated. The developed approach and recoverability measure can be used to select a resilient supply chain design in terms of potential recoverability.